The private pilot reported that a routine maintenance inspection had been completed earlier on the day of the accident. During the initial personal flight after the inspection, the engine exhaust gas temperatures (EGT) differed by up to 150 degrees, although they remained within the specified operating limitations. The pilot chose to divert to an intermediate airport to investigate any mechanical issue with the engine. The pilot reported that a mechanic informed him that the EGT difference was not unusual for that particular engine. No significant engine issues were identified, and two subsequent run-ups were normal. A third run-up and subsequent takeoff were also normal. As the flight progressed, the EGT indications were within limitations, and, after 25 minutes, they had equalized. About 5 minutes later, the engine and propeller “stopped abruptly.” The pilot’s attempts to restore engine power were unsuccessful. He subsequently executed a forced landing to an athletic field. During the landing, the nose landing gear separated, and the airplane nosed over. A postaccident engine examination revealed that the No. 4 cylinder exhaust valve had failed near the valve head due to bending fatigue. The No. 4 cylinder, piston, and exhaust valve head exhibited extensive gouging, scraping, and deformation consistent with secondary damage due to the failed exhaust valve. Further examination revealed that the No. 4 cylinder exhaust train tappet exhibited severe wear, which had significantly reduced the height of the exhaust tappet compared to the height of the intake tappet. The resulting gap in the exhaust valve train due to the shortened tappet likely caused excessive impact loads between the exhaust valve and the cylinder valve seat during engine operation, which resulted in the valve’s failure. The subsequent secondary damage due to the separated valve head ultimately caused the catastrophic engine failure. The fatigue failure of the No. 4 cylinder exhaust valve due to excessive wear of the corresponding train tappet, which resulted in a total loss of engine power. 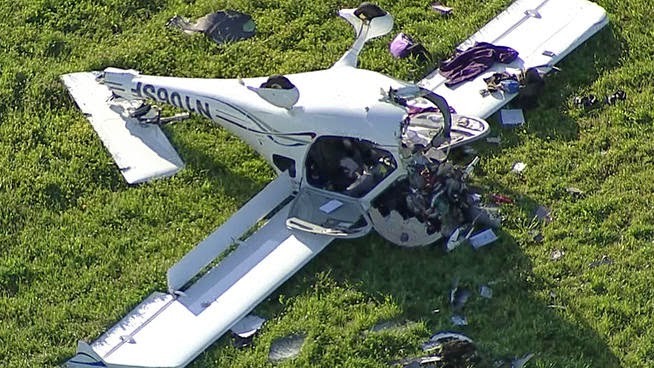 On April 25, 2014, about 1742 central daylight time, a Flight Design GMBH CTLS light sport airplane, N106SF, was substantially damaged during a forced landing following a loss of engine power near Greenville, Texas. The pilot and passenger sustained minor injuries. The airplane was registered to and operated by the pilot under the provisions of 14 Code of Federal Regulations Part 91 as a personal flight. Visual meteorological conditions prevailed for the flight, which was not operated on a flight plan. The flight originated from the Fox Stephens Field – Gilmer Municipal Airport (JXI), Gilmer, Texas, about 1635. The intended destination was the Denton Enterprise Airport (DTO), Denton, Texas. The pilot reported that a routine maintenance inspection was completed earlier on the day of the accident. During the initial flight after the inspection, the engine exhaust gas temperatures differed by up to 150 degrees, although they remained within the specified operating limitations. He elected to divert to the Gilmer Municipal Airport (JXI), Gilmer, Texas. A mechanic reportedly informed the pilot that the EGT difference was not unusual for that particular engine. However, the spark plugs were removed and examined. Minor debris was removed from one of the upper, right spark plugs. Otherwise, the spark plugs exhibited normal wear signatures. The engine oil did not appear to contain any contamination. The spark plugs were re-installed and two subsequent engine run-ups were normal. A third run-up was completed before takeoff from JXI; both the run-up and the takeoff were normal. As the flight progressed, the EGT indications were within limitations and, after 25 minutes, had equalized. About 5 minutes later, the engine and propeller "stopped abruptly." The pilot's attempts to restore engine power were unsuccessful. He initially planned to divert to the Majors Airport (GVT), Greenville, Texas; however, the airplane did not have sufficient altitude to reach the runway. He subsequently elected to execute a forced landing to an athletic field located about 3 miles north of the airport. During the landing, the nose landing gear separated and the airplane nosed over. A postaccident engine examination was conducted under the supervision of a Federal Aviation Administration airworthiness inspector. The examination revealed that the no. 4 cylinder exhaust valve had failed near the valve head. Subsequent metallurgical examination determined that the failure resulted from bending fatigue. The no. 4 cylinder, piston, and exhaust valve head exhibited extensive gouging, scraping, and deformation consistent with secondary damage due to the failed exhaust valve. The damage also included a hole in the top of the piston with extensive secondary impact damage as noted. The tappets exhibited light to moderate spalling, with the exception of the no. 4 cylinder exhaust tappet, which exhibited severe wear. The wear had reduced the height of the exhaust tappet by more than 5 mm as compared to the intake tappet. In addition, the no. 4 cylinder exhaust valve cam lobe was severely damaged with large spalls visible on both the opening and closing sides. At the time of the accident, the airplane, a Flight Design CTLS (s/n F-09-10-13), had accumulated 1,613 hours total time in service. It was powered by a 100-horsepower Rotax 912 ULS 2, 4-cylinder, reciprocating engine (s/n 6775304), with an identical service time. Maintenance records indicated that the engine complied with the requirements for an extended time-between-overhaul (TBO) of 2,000 hours. The most recent inspection was completed on the day of the accident at 1,608 hours time in service. The maintenance records noted that engine oil was changed at that time. The magnetic plug was noted as "dirty, but OK." In addition, the entry noted that an exhaust pipe leak on the no.2 cylinder was repaired and that two exhaust springs were replaced. There was no specific mention of any maintenance work to the no. 4 cylinder. 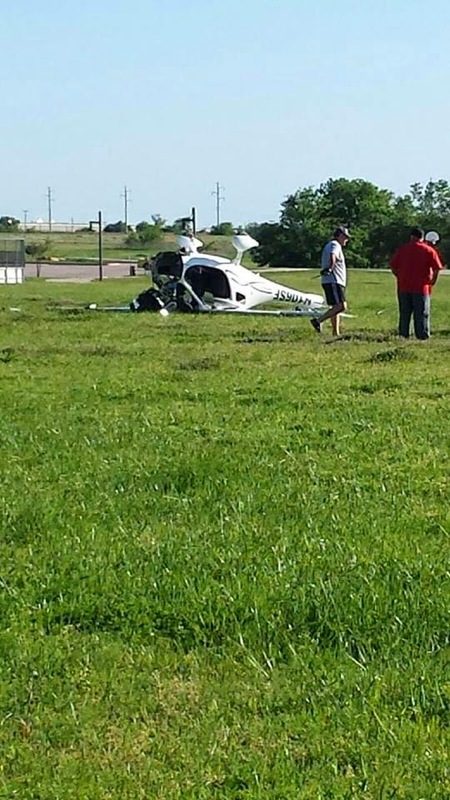 On April 25, 2014, about 1742 central daylight time, a Flight Design GMBH CTLS light sport airplane, N106SF, was substantially damaged during a forced landing following a loss of engine power near Greenville, Texas. The pilot and passenger sustained minor injuries. The aircraft was registered to and operated by the pilot under the provisions of 14 Code of Federal Regulations Part 91 as a personal flight. Visual meteorological conditions prevailed for the flight, which was not operated on a flight plan. The flight originated from the Winnsboro Municipal Airport (F51), Winnsboro, Texas, about 1710. The pilot stated that about 30 minutes into the flight the engine and propeller "stopped abruptly." His attempts to restore engine power were not successful. He initially planned to divert to the Majors Airport (GVT), Greenville, Texas; however, the airplane did not have sufficient altitude to reach the runway. He subsequently elected to execute a forced landing to an athletic field located about 3 miles north of the airport. During the landing, the nose landing gear separated and the airplane nosed over. A small aircraft crashed on a field in Greenville Friday afternoon. A spokesperson for the Federal Aviation Administration said that the aircraft landed on a soccer field at the Greenville Sports Park and flipped over. The plane was headed for Majors Field at Greenville Municipal Airport when the aircraft lost power about five miles out, the city of Greenville said. The pilot was able to glide the plane to the open fields at the sports park. The pilot and a female passenger were on board. They were not injured. “It kind of bounced flipped end over end," said assistant coach Kirstin Logan. "We were all kind of in shock so we all took off running for the plane hoping that everyone was OK."
The sports park is northwest of the intersection of Interstate 30 and state Highway 34 in the city of Greenville. There was no fire, but the crew at Greenville Fire Station 3 witnessed the plane gliding down and responded immediately to rescue the pilot and passenger from the plane. The Department of Safety and FAA are investigating the crash. Ask a Scientist: How does a plane engine work?